Photo by John Martinez Pavliga. This week the news broke in Patriots camp that second-year runner Shane Vereen was working in OTAs as the No.1 runner on the depth chart. Stevan Ridley was the projected lead back after the rookie from LSU had the better season in 2011. Of course, it’s easy to have the more impressive performance when the competition for that role missed much of training camp and the season dealing with a leg injury. I wrote in 2011’s Rookie Scouting Portfolio that Shane Vereen has enough physical skill and talent to have a better career than former Cal teammate Jahvid Best. That might seem like an easy task considering that Best has incurred multiple concussions and his long-term career seems more questionable than when he entered the league a top-flight rookie prospect with skills and stylistic similarities that I think is a nice a blend of Marshall Faulk, Reggie Bush and Walter Payton. Those a big names and I don’t expect Hall of Fame level production. However, I do expect big plays. Today I’m going to show you what I like about Shane Vereen and if he stays healthy, why he’ll have a significant impact for the Patriots in 2012. The links below will take you to the specific points of the highlight package I’m referencing throughout the article. Watch the highlight that begins here (right click and open in separate window so you don’t have to toggle between pages) and you’re going to see a play designed for a cutback because the H-Back/Fullback is crossing the formation at the snap to make a backside block. 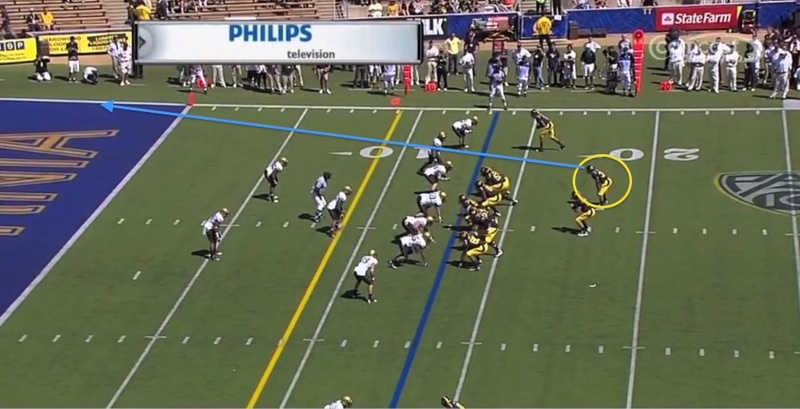 The exchange between the quarterback and Vereen is towards the front side, which draws the defense in that direction. Vereen reads the helmets of his lineman and sees the cutback opportunity to his right. There’s no hesitation. When Vereen sees the helmets of his center guard and tackle to the right, he moves in this direction to the open back side area for the cutback. 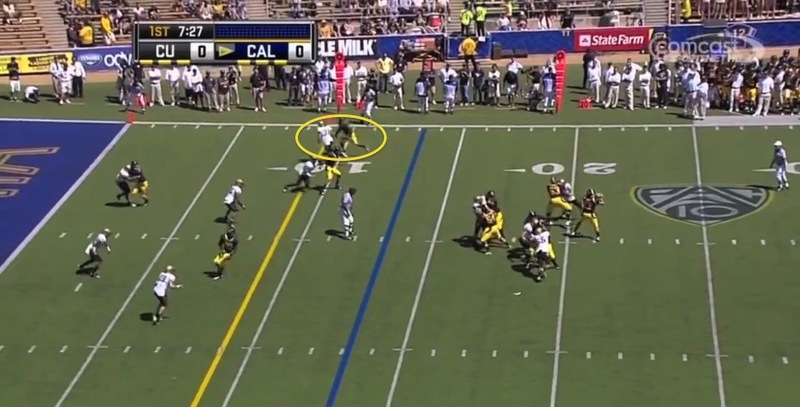 This is good blocking by the Cal line, but it is also good recognition from Vereen. However, what I like most is the athleticism of Vereen to make the clean cutback and then a second lateral cut to eliminate the defensive back’s angle in backside support. The corner comes off his block with a nice angle, but Vereen not only spots it immediately, but he has the lateral agility to eliminate it. A step later, and Vereen makes a sharp cut with his inside foot to bounce the run further outside and leaving the defender flailing for an angle. I love that Vereen keeps his eyes fixated on the defender as he makes this cut, selling the fake to set up the change of direction. Within a couple more steps, Vereen looks like he owns both the corner and “the corner,” bouncing it outside for a nice gain. However he sees something else. Vereen spots the defender coming down the line in pursuit and then makes a second cut inside to get down hill. I like that Vereen has the footwork to either make an extended, hard plant of the leg for a sharp angle but within a few steps make a short stop-start change that gives him a small angle of advantage in tight spaces. 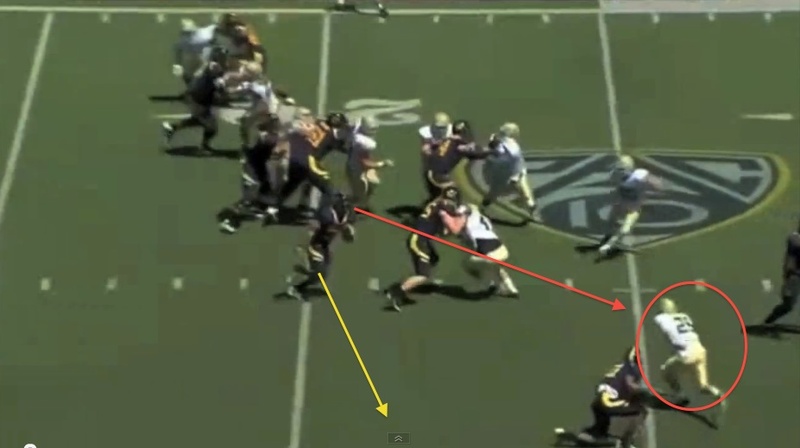 This makes him both a dynamic cutback runner and a slippery inside player. Vereen leaves this defensive lineman on the ground and gains another five yards on the play. Here are two more plays from Vereen later in this highlight package that display good cutback skills at both sharp and tight angles. Both lead to longer gains and demonstrate Vereen’s speed and burst. Some of Vereen’s highlights look eerily similar to the stop-start, change of direction balance that Walter Payton showed during his career. I like that Vereen can plant hard and get down hill fast – he’s not always looking to get outside. Look at this hop away from the defender in the hole and while I don’t think he’s nearly as strong as Payton, he’s essentially doing the same thing stylistically as what the Bears great does here. Now watch this Vereen run against Arizona State and it looks even closer to that Payton highlight. Of course, Arizona State is a far cry from an NFL defense but you get the point of the stylistic similarities. Vereen is shifty, quick, and determined. Kevin Faulk and Danny Woodhead have been integral components for the Patriots passing offense as receivers from the backfield. Vereen offers this same skill set. Here is the first of two wheel routes from this video that showcase both Vereen’s speed and skill at tracking the ball with his back to the passer. I’m going to break down the second one, which begins from the shotgun inside the red zone and ends with a catch in tight coverage near the boundary of the end zone. 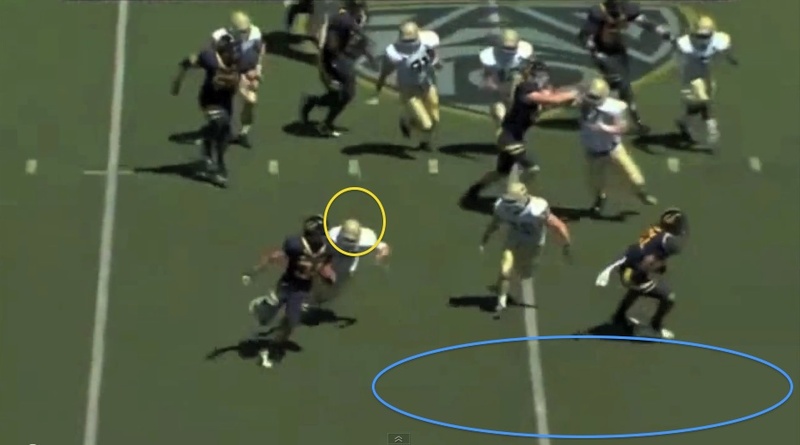 Vereen runs a wheel route, which in a confined area of the field requires good quickness to get position on a defender. The outside linebacker picks up Vereen on this play and by the time the runner is four yards past the line of scrimmage, he’s turning back to call for the ball. Vereen knows he has a mismatch despite the fact he’s just getting even with the defender. 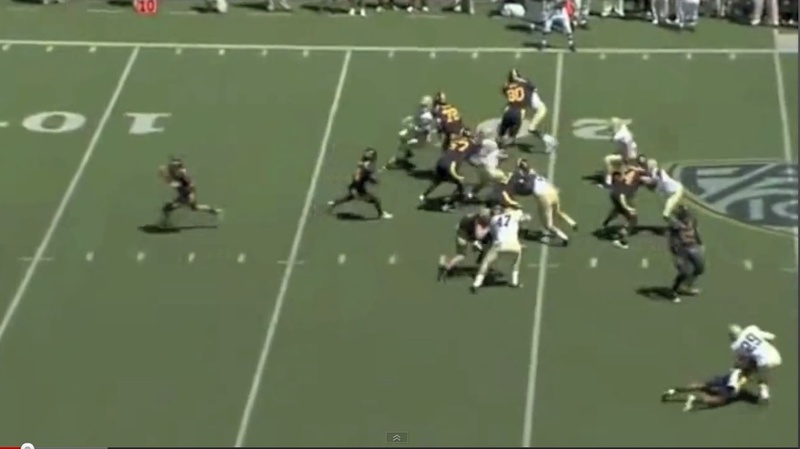 Imagine a linebacker trying to cover Vereen in the NFL on a route like this. Especially when Rob Gronkowski and Aaron Hernandez in the lineup. Now add Brandon Lloyd, one of the top receivers at the corner fade in the game. The Pats should be excellent in the red zone in 2012. Four yards later, and Vereen is now ahead of the linebacker and tracking the ball with his eyes. What I like about this play is that Vereen does a great job of using his body in the succeeding frames to adjust to the football in the air. 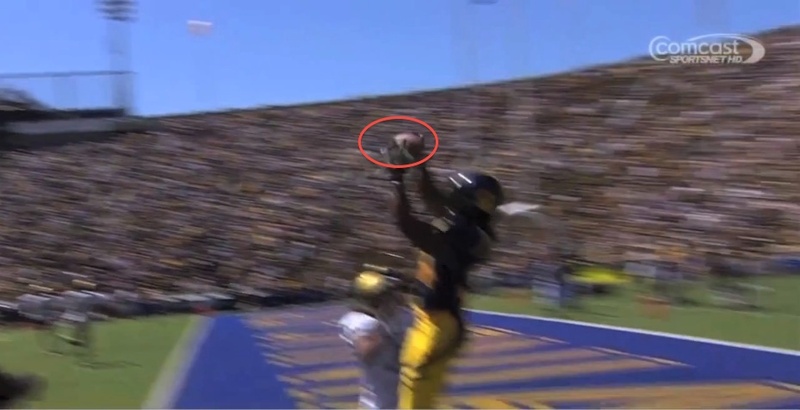 Right now he’s tracking the ball as if it’s coming over his inside shoulder. As the ball approaches, Vereen turns back to the pass as he reaches the boundary of the end zone. With Vereen turning back to the ball, the defender must turn back or keep his hands down to avoid incurring a pass interference penalty. 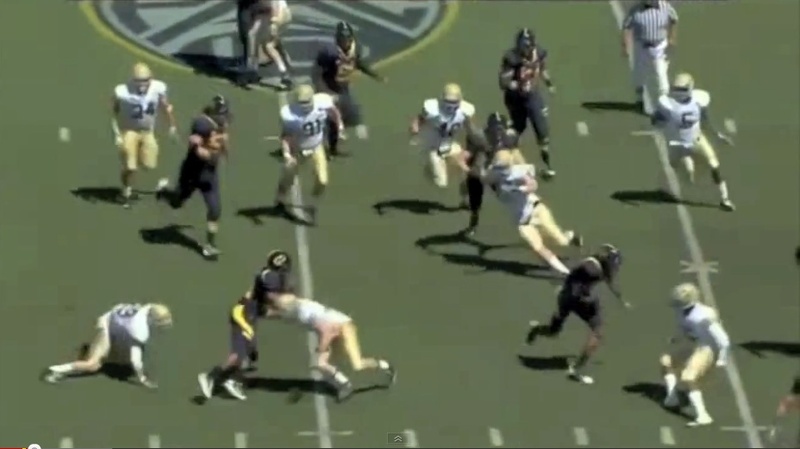 The runner demonstrates good timing with his leap to high-point the ball, extending his arms from his body and making the reception with his hands. Unless Vereen is covered by a safety or a cornerback, which will give the Patriots an opportunity to get Brandon Lloyd or one of the tight ends in a mismatch, the runner will have the advantage in these situations. Finishing the reception, Vereen turns his back to the defender his he secures the ball to his body and demonstrates the body control and awareness to get one foot in bounds for the score. 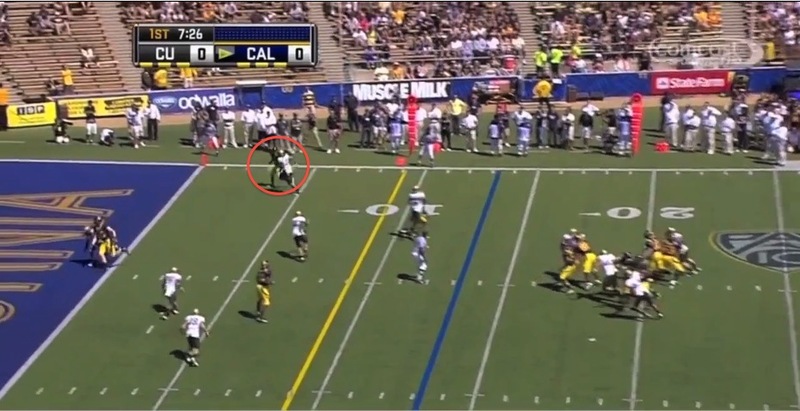 One of the things I like about the past 7-8 years of Cal skill players is their versatility. Vereen will need to get both feet inside the boundary on these types of plays in the NFL, but the skills are there to refine. What you’re not going to see from Vereen is great displays of power. He’s not as strong a runner as Payton or perhaps Marshall Faulk. 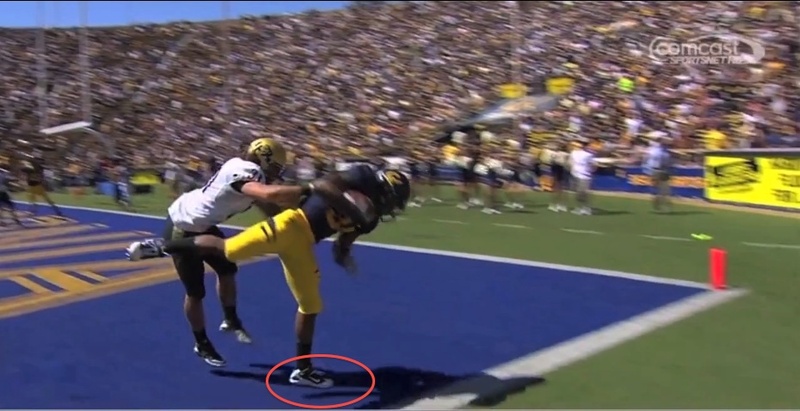 However, he knows how to get his pads low to get under hits and fall forward. When he has to get his pads low and drive through contact to finish a run, he’s willing although he won’t win battles with most NFL middle linebackers or strong side linebackers. However, he has strong enough thighs to generate a push with the help of his linemen and the balance to slip through wraps and drive forward. He also knows how to use the stiff arm to ward off defenders. 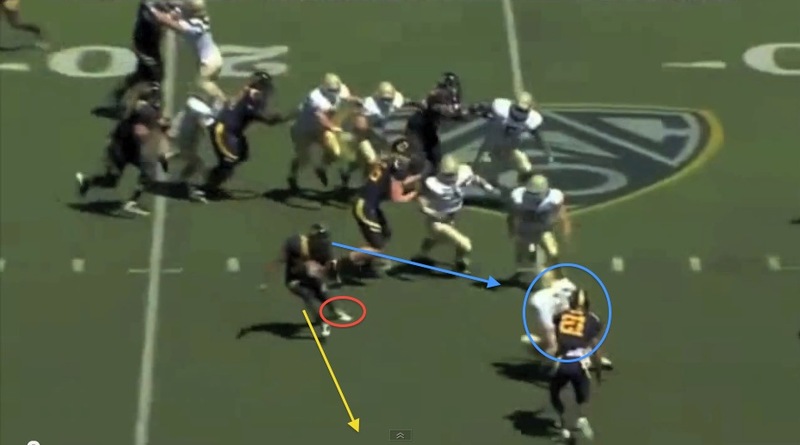 With his quickness and footwork, Vereen is good enough to make plays as a lead runner. Especially in an offense where Tom Brady has the freedom and skill to check plays and change formations with versatile personnel to create opportunities for Vereen to shine. I’m not predicting top-tier starter production for Vereen in 2012, but as long as he’s healthy he’ll make a name for himself this season. For more analysis of skill players entering the NFL, download the 2012 Rookie Scouting Portfolio. Better yet, if you’re a fantasy owner the 56-page Post-Draft Add-on comes with the 2012 RSP at no additional charge. Best, yet, 10 percent of every sale is donated to Darkness to Light to combat sexual abuse. As always, excellent analysis. Vereen kind of reminds of Matt Forte. Dual-threat, downhill runner that can make sharp cuts in the open field. Someone will need to score BJGE’s 11 vacated TDs this season, so if he stays healthy, Vereen might be that guy. My only question concerns ball control. 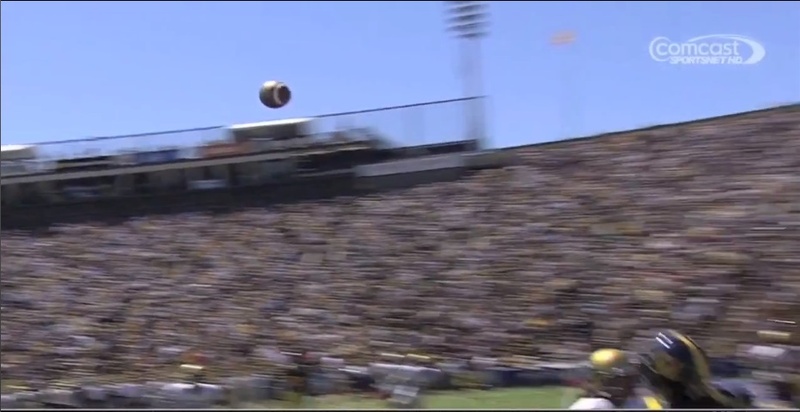 I couldn’t find it anywhere, but did Vereen have a propensity for fumbling in college? As we’ve seen with Belichick, he’ll quickly bench guys that can’t hang on to the ball (Ridley). While he wasn’t the most physically talented, BJGE never fumbled and received the opportunities. Hanging onto to the ball may make or break Vereen as a sleeper this season.